The Magpies beat Watford 1-0 on Saturday. Newcastle United’s season beginning was nothing less than a horror ride – and for once after nearly three years – there were talks about a change in manager which might in result change the team’s fortune as well. After going winless in the first ten games of the season, there was visible unease in the air at St. James’s Park on Saturday with the crowd attendance being less than 50,000, displaying an evident need of a positive result. But that result looked highly unlikely as the team were up against a Watford side, who were having the best start in the league competition in more than three decades. But the team showed their real mettle and registered an impressive 1-0 win, courtesy of Ayoze Perez's goal in the second-half. Chelsea’s Kenedy was on the radar of manager Rafa Benitez for quite some time and once he was signed by the club in the January transfer window in 2017-18 season on loan, the Spaniard was visibly happy as he knew the kind of quality the 22-year-old will bring in to the team. Kenedy showed in the match against Watford on Saturday why he is so highly-rated by the manager where he was undoubtedly the best offensive player on the pitch. The Brazil U23 international looked sharp on the left-hand side of the pitch and threatened the opposition with his pace, game awareness and also finished the game with most shots on goal (5). 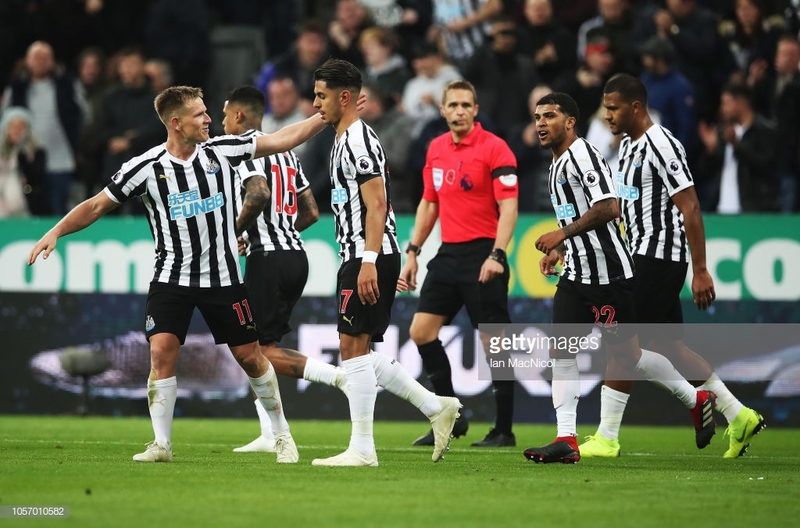 With Newcastle strangled in a relegation battle once again, the role of a young player like Kenedy will be of pivotal importance, as when he is on song, the team looks a much better outfit overall. Benitez came into the match against Watford under immense pressure and nothing less than a victory would’ve made his situation better – and that’s what the team delivered. The victory would make Benitez feels like he is off the hook – for now – but that does not mean things are about to get any easier for the Spaniard. After 11 matches, the Magpies have just accumulated six points, which suggests that one victory is not enough for the team to start their journey towards safety. Next up for the Toon Army will be Bournemouth, who are playing some of the most attractive football in the Premier League. A win against Eddie Howe’s men would make everything look smooth at the club, whereas a defeat will once against highlight the importance of reinforcement in the upcoming transfer window.